Prototypical Patriots: Looking at the future for interior of offensive line? Prototypical Patriots: Planning for future at interior of offensive line? 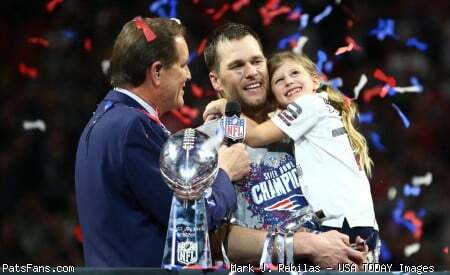 Tom Brady and the Patriots won their sixth championship on Sunday night after a tough defensive battle over the Rams. Discussion in 'PatsFans.com - Patriots Fan Forum' started by thecore762, Feb 6, 2019. I feel bad for Gordon, I’m just surprised how someone can beat the **** of their gfs and wives and get less of a suspension vs someone that just smoked weed. This is a violent sport and players should have the ability to smoke during their off time. Weed is way less riskier than Alcohol. Someone smoking weed is less likely to assault someone. The NBA lets their players do it during offseason and I think the NFL should follow suit. With the above said I hope they reinstate him before training camp, and I hope BB gives him another opportunity because he will be cheap to retain. Does he come back to NE? I view Gordon as a sympathetic figure, too. But, his addiction problems, particularly the most recent ones, involved far more than just weed use. I believe when he came to NE he signed a 2 year contract. I believe when he came to NE he signed a 2 year contract. He was traded to NE and was schedule to be a RFA. I can overlook his issues as long as he's open about them and does his best to deal with them while reintegrating with the team. We should know around FA time in the way the Pats deal with his RFA situation. If they don't cut him and keep his rights then there is a good chance that if he ever plays football again it would be here. And given how positively everyone including the Krafts have been talking about Gordon I would be surprised if they cut him. He didn't seem to be a distraction so why not hold on to his rights especially if you are off the hook for any money as long as he is suspended. It is hard, if not impossible to accommodate a guy who, as soon as he is out of your sight, will sneak off to do drugs or whatever, and get suspended. I have real sympathy for Josh and wish him the best in his life, but i would rather move on with someone who can totally invest. Give him the lowest level tender. I don't think anyone touching him. Gordon would have to do everything by the book for the next 6 months for this to even be a thing. That likely includes completion of rehab, a sober living aftercare facility, passing many tests, counseling, attending NA meetings, any type of community service that Goodell would want, etc. I’m not sure why anyone would assume any of this, but if he actually does it all and is reinstated by the summer I’m sure we’d still control the rights to him. No use cutting him unless he screws up his reinstatement plan. I'd bring him back. It's not like we have much talent at WR. He's clearly much better than Hogan and Dorsett. You can't count on him, but he might be able to help win a game or two. If he makes it to the playoffs, consider that a bonus. That's where I am on this. Tender him, get him in camp and keep him in the rehab program. If he can help the team in 2019 it's a bonus. The key thing that gives this a chance is how well liked he was by the team. He has a good support system here. Hope he can get straightened out. No thanks, the Pats shouldn't entertain bringing this guy back. You can't trust him, i hope he fixes his life but he can do it on some other team for me this has been going on for his whole football life why do people think it's always going to be different next year? Agreed. I'm rooting for him, both because he's a supremely talented football player and because by all accounts he's a good guy with some dark demons. Wish people would stop making the claim it's just weed though. Gordon's been addicted to Xanax, opioids, and alcohol since adolescence. I think booze is probably the biggest culprit. The linked GQ interview in the article is worth reading. It's notable how self-aware Gordon is and yet he still can't help himself. Anyone who's struggled with addiction themselves or gone through it with a love one can no doubt empathize. All of Gordon's mistakes have only hurt Gordon. That is very easy to forgive. I read that he was suspended for a diluted sample. Clearly he has issues. But the way he stayed engaged in social media during this Super Bowl run, that he wants to be part of the team. All the Pats say he is a great guy. So hopefully the league will reinstate him. I think if you actually want what is best for Josh, he would be better off on the Pats with all his teammates and the support system that the Patriots have set up for him. God help your your son or daughter if they ever have an addiction problem. I’d love him back.. but there’s a risk involved but I’m happy to take that. I hope he can sort his demons out and get the proper support he needs. I think there’s more to Josh Gordon’s drug abuse than meets the eye. It may be a self medicating mechanism that he’s using the drugs for to deal with something else, but that’s just from prior experience of people I know who used all types of drugs etc to cope with their demons. He seems to be loved by every single guy in our team and I hope he just manages to get through and get what he needs for a sustained period of better health in the future. Same. I wish him well in life but he should be done with football.